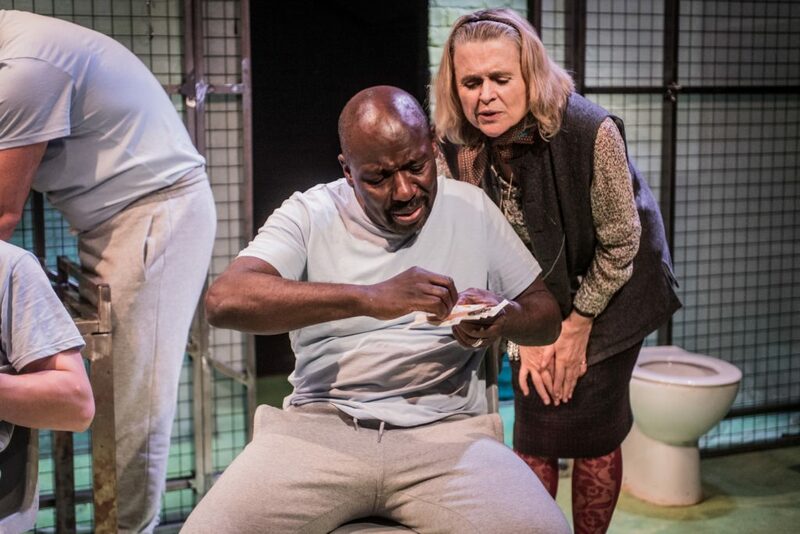 Pros: The beautifully written script and the performances of Sinead Cusack and Michael Cardone, closely followed by the remainder of the cast. Cons: Very, very occasionally, there was a slight tendency towards Porridge like characterisation. 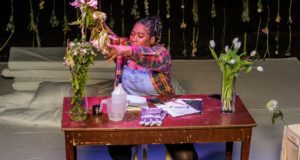 Based on the true story of Lady Anne Tree and the charity Fine Cell Work, this is a funny, sobering but also inspiring play about the positive effects on prisoners who have the opportunity to engage in skilled work. Calling herself a ‘Victorian do-gooder’, Lady Anne Tree conducted a long campaign to be allowed to teach prisoners skills through which they could have paid work whilst in prison and improved prospects upon their release. Her proposal was approved as late as 1992, and the resultant charity, Fine Cell Work is still going strong with high productivity and work exhibited at the Victoria and Albert Museum. And what was this skill I hear you ask? Why, embroidery, of course. 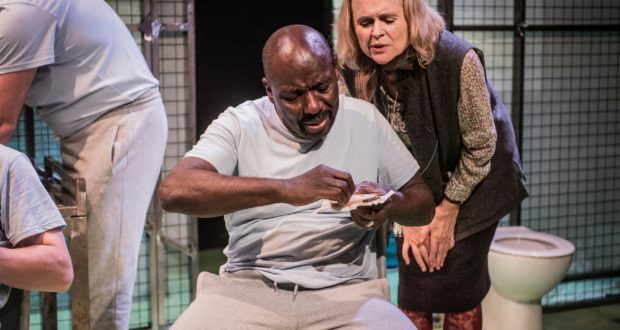 Jermyn Street Theatre is so small that it’s perfectly suited to creating a claustrophobic confined feeling, not that the excellent set needed any help. With a change in sound and lighting, and a little bit of quick furniture re-arranging by the cast, it was a cell, a number of cells either side of a corridor, a workroom, even Lady Anne’s house and grounds. The sound in this production deserves an early mention, not least because it is an integral part of the opening. Before the lights go on the loud, rhythmic bashing and banging give a very effective taste of being in an enclosed space, surrounded by noise that doesn’t stop and that you cannot escape from. The beautifully written script manages to convey the tedium, frustration, boredom and mounting tension that result in explosions of prison violence, all in just under two hours. Revelation of the back stories is skillfully done through the natural flow of conversation, and there is a lot of the humour that you do find in everyday life, but which is often missing in plays with a ‘serious’ subject. The whole cast delivers, especially Sinead Cusack who is flawless as Lady Anne, and Michael Nardone skillfully showing the complexities of Lukasz. The prison population (guard included) are portrayed with sympathy, displaying each character’s vulnerabilities. Lady Anne is shown also to have had her setbacks and tragedies, and turns out to be the strongest and most resilient of them all, treating everyone with equal respect and influencing the prisoners to work together, rather than against each other. 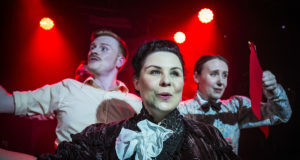 Very, very occasionally, there was the tiniest tendency towards caricature, making me think of the sitcom Porridge, but this is a very small niggle about an enjoyable, fascinating and thought-provoking production.